loving. living. small. | live small with style: A LOVING. LIVING. SMALL. Reminder: Simply Enjoy Your Home! Decorating and furnishing your small space can be a fun and creative adventure but don't forget to simply enjoy your space. Seems simple enough but too many times I hear friends rushing through their life from work to plan to meeting, etc. Take time in your small space to just relax - your house (no matter how small or big) is your place to just enjoy. 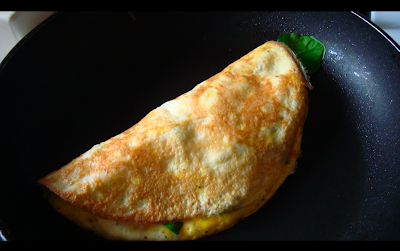 One of my favorite things is to make time for is making breakfast. 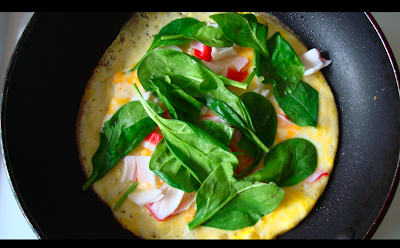 My specialty - spinach egg white omelettes! Oh la la! Nice reminder...So simple yet there's so much truth to it. Thanks. You're right. I have a teeny tiny house but there are many pluses to it like the floor plan design which attracted me to it in the first place. Sometimes I just rail against it and hate it for being so small but really, it is home and it is mine :) Keep reminding us to love our small places!! !